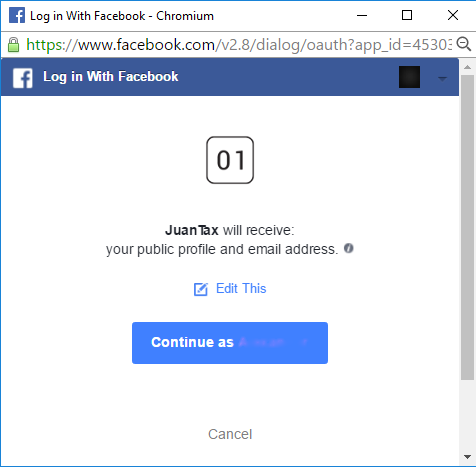 Be able to login by either using your registered credentials or Facebook/Google account. To login using your credentials, just enter your Email Address and Password before clicking the Login button. Clicking the Login With Facebook link will lead you to a page where you'll need to click the Continue as button. 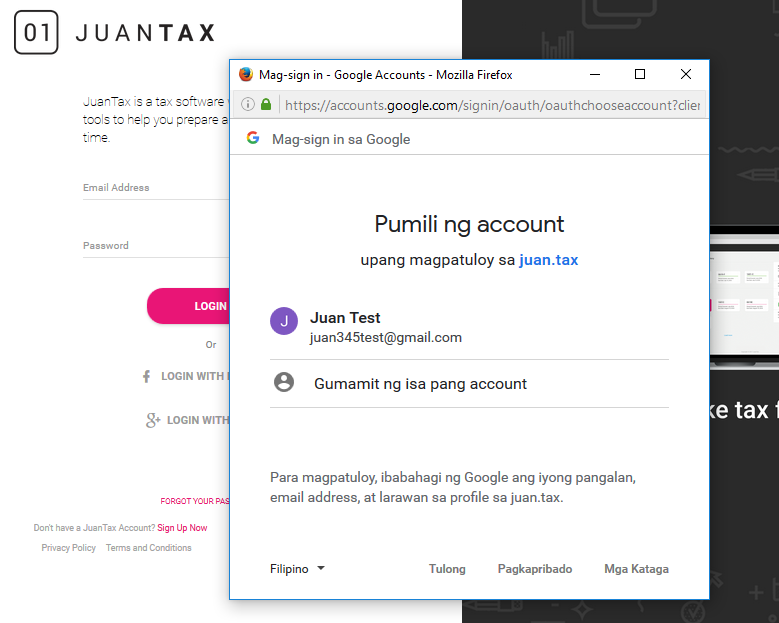 Clicking the button means that you're confirming that you wanted to access JuanTax using your Facebook account. Just click the Login with Google Link and it will prompt you to a window where you need to enter your email address and password in order to create an account or better yet, just click through your email if you had previously logged in Gmail. After that, you’ll be prompted to the organization portal of your created account.